« coming in light! Metal on Metal return! 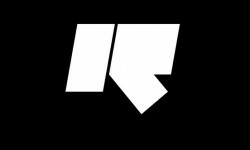 DD: For those who aren’t familiar with Rinse.fm how would you describe it? A little while ago I had it on all day while I worked on things, even got a few shoutouts! It’s influencing me more and more, I feel a closeness between the music, DJ’s and listeners. Rinse is an underground music station broadcasting from London, and it aims to paint a “proper” musical picture of what musical trends are happening on the dancefloors here and also what musical trends are emerging. Its been running for 16 years or so and has just been given a legal fm license so I guess things are really gonna start kicking off from here onwards. DD: Have you done much touring in the U.S.? Ever been to Seattle? NO! !….I havent! !…(hint hint) lol….but hopefully in the not too distant future I will get the chance to showcase more of my productions and djing sets in the US and Seattle. I get alot of U.S. listeners on my radio show and recent U.S. tours by Roska and Zed Bias show me that there is definitely a market for the music we’re playing/making here. DD: What keeps you going as an artist? What do you feel is a good approach for young electronic artists who are just starting to push out into the open? What keeps me going? ?…..hmmmm?….I cant put my finger on a “thing” because this feels like second nature to me….I get up, brush my teeth…then jump on the Logic. It doesn’t feel like work and you ultimately get a lot of self-satisfaction of seeing something take shape from nothing. My big advice I would give to young electronic artists out there would be to listen to all genres of music…especially if your producing. As you can draw inspiration from different places, but at the same time retain your “self”. Being “unique” is a unique selling point….if that makes sense! DD: Any final words? It’s been an honor to talk with you, much respect! ….ah what?….the end already?!! lool…well big thank you for showing interest in me and my work. Check out my latest work the DUTCH EFFECT EP out now on iTunes and look out for more releases forthcoming this year on my label Houseology. and now tonight..we will go hard!